Happy April! I'm so very excited to see Spring's arrival. I'm basking in the glow of renewed energy and new life!!! I have a question for you - do you ever get really interested in things? I do. It's a part of my personality. Loves turn into obsessions. I really and truly enjoy learning about new things - random ideas, concepts, time frames, and even people peak my interest sometimes. For example, in March I was [and I guess still am!] obsessed with French history. I don't know how these things happen to me, why I go down these paths that lead to frequent day dreaming about Versailles and storming of the Bastille. But here we are. 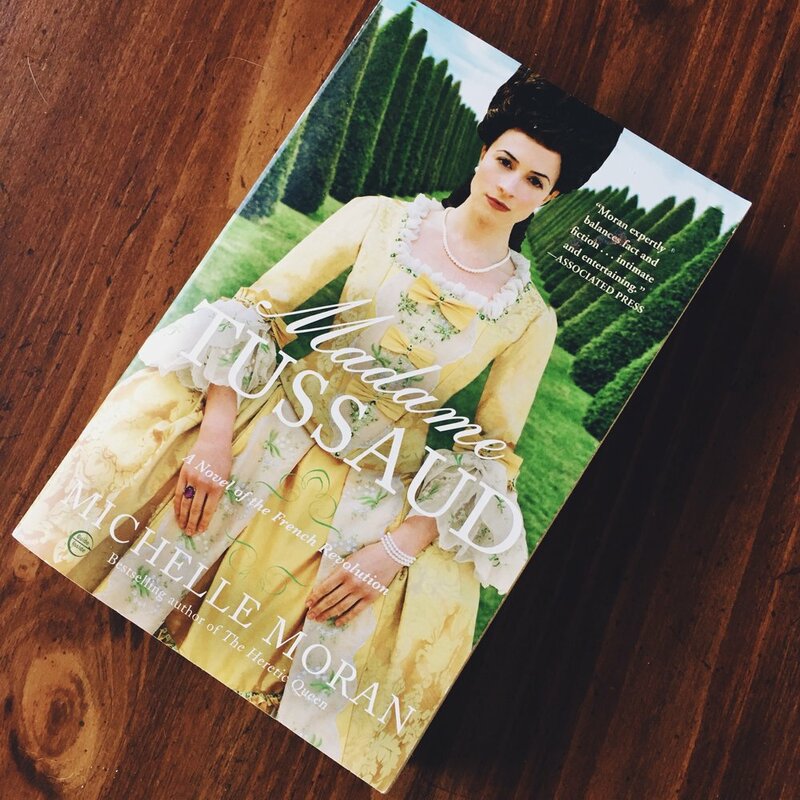 In March, I read 3 french themed historical fiction books, watched two whole seasons of Versailles on Netflix [raunchy, I can't exactly recommend it on my favorites because of that, but it's totes interesting], watched about 4 documentaries on the kings of France and the Revolution, and also found myself longingly daydreaming of being in the King's court and wearing those poofy dresses. It's been a strange month. So how did I do with my goals for March? Create a spring cleaning checklist for April -- Started, not yet finished. I have a blog post planned about this for late April! Use the First 5 App every day -- "Every day" was quite a lofty goal for me, considering how quickly I usually have to get ready in the morning and vamoose. But, I'm doing very well with this goal most weekdays. And I do LOVE it when I take the time to chill with my cup of coffee, read my Bible chapter and reflect with the devotional. It's the most soothing part of my day. These efforts will continue! Prepare for my next Whole30 round :) -- Starts this week! But first, here are my March favorites! I love editing pictures - I always have! I saw the Pic Tap Go app suggested for editing pics on a random blog post on Pinterest [I wish I could remember where, but it escapes me]. 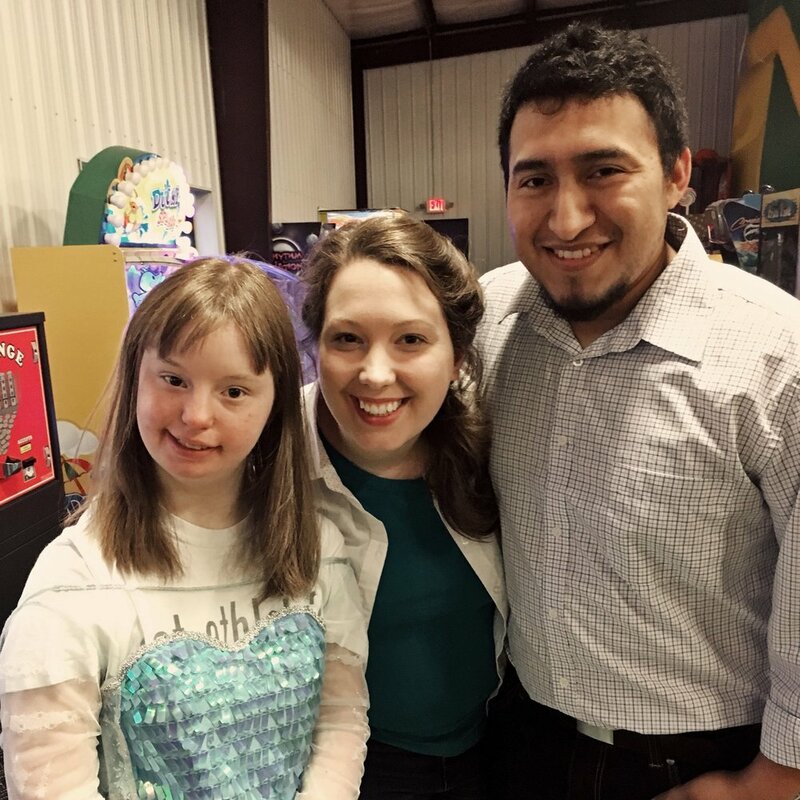 I loved the pictures they produced with it, and knowing that I needed an app to edit that was easy to use and located on my phone, this was perfect. You can layer filters to create the light and depth you want, tweak specific things like contrast and highlights, and/or create your own filter mixes and save them as "recipes" to apply to other pics. It was a great investment! I picked up one of these cold brew coffee chocolate bars at the register on a trip at the beginning of March, and I wish I had bought more, they were so, so good! This is now my favorite candy bar! I can't wait to make a trip in April and not only pick up some Whole30 approved foods, but a couple of these babies to keep back for when I need them! I recently bought this on a trip to Ulta [which definitely broke my "no buy" makeup, HARD]. I have been crushing on the Loreal Lash Paradise [which I do still like], but was having a difficult time keeping it from transferring to my eyelids. I have watched many a Youtube makeup video where this has Essence Lash Princess been recommended as a top drugstore buy. Usually, however, it is the purple "sculpting volume" version they rate so highly -- but this was the only lash princess version available and I snatched it up. But it was ok that I compromised because this is AMAZING! And the low price is such a bargain. I would pay much more for a mascara of this caliber! It's super black - which I love - and does a great job of lengthening and thickening the base of my very sparse lashes and lash line. I am highly impressed. As I wrote in my book recommendations post last month, I have spent my life loving to read. As an adult, I have went in and out of reading, with spurts of where I could not put book after book down, all the way to not touching a book for pleasure for months. Right now, I am in a read-all-the-books mode! And I once again became enamored with Goodreads, which is a social site for reading,. Through your own profile, you can rate books, create lists, keep up with books you've read, what you're currently reading, and what you want to read in the future. Also you can hook up with friends, send suggestions to them, etc. It's ALL THINGS READING. I had signed up many years ago on the site, but hadn't utilized it. Which is ridiculous, because it is so amazing at book suggestions and reviews! That is why I love using it the most - but it is also really cool to keep up with what I have read and keeping lists of what I want to read in the future. Also, because I'm nosey like this, I love to see what others are reading! 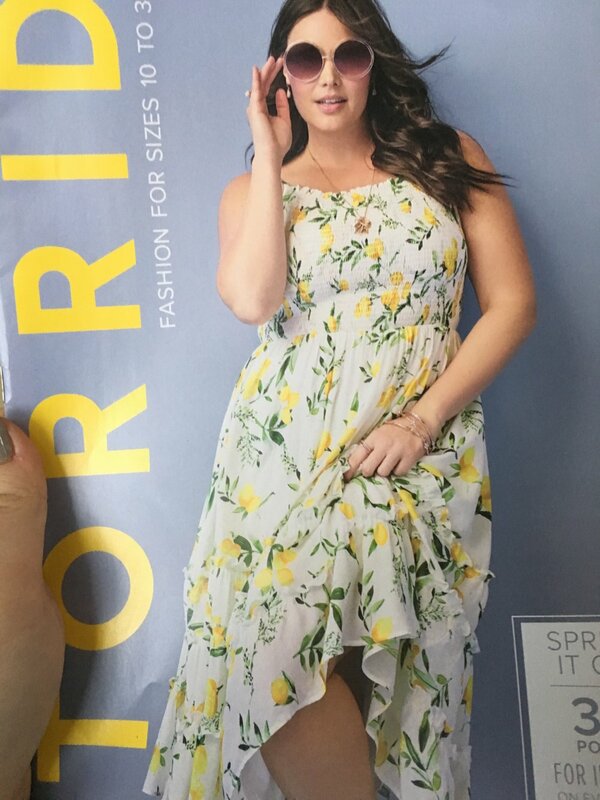 I've found some really cute lemon print things, like this dress from Torrid, but haven't pulled the trigger on anything but a single dish towel from Hobby Lobby. Hobby Lobby had a lot of great lemon finds, including an Apron and a whole set of ceramics. I hope I can find some other lemon-related stuff this month! This podcast kind of snuck up on me! It was on the suggested part of my Apple Podcast app, and I took a chance when I saw what it was about - the retelling of classic fables and fairy tales, in their original form! Most of us know that the tales of old - such as Beauty and the Beast which is in the screenshot here - have been revised, rewritten, and toned down for children. But this podcast, although nothing too shocking, is a true recitation of the tales in their original context. This is definitely not for little kids, it is for young adults to adults. Relatively a new podcast, there hasn't many tales been told yet -- but I can't wait to experience what is to come! I'm glad I took this recommendation. I devoured Madam Tussaud. In like fashion, I did the same with The Lacemaker. Michelle Moran and Laura Frantz are two of my very favorite authors. Although their writing styles are not exactly alike, they both have a similar way of drawing you into a historically accurate story with all the emotion of a fairytale. I'm currently obsessed with French history, and Mrs. Frantz writes of my all-time favorite time period, the American Revolution. I'm not sure if I could not have liked these books, but they both proved worthy of their fanfare! This bread was soooo good! We picked this up at our local Kroger on a whim for dinner. It was very soft and fresh. It was sweet, without being overly sweet. The sunflower seeds were throughout the bread, which really gave it a rich flavor. We ate this along with our grilled steaks, veggies, and gluten-free mac n cheese. It is now my very favorite bread! If you're a carb lover, it's a must try! This pic shows a typical Friday morning for me - reading while sitting in the drive thru line at a our local coffee shop. Except this time, it is the Ulta catalog that detailed the 21 Days of Beauty! There was/is a lot of amazing deals [like 50%] on select popular premier skincare and makeup, with the products being discounted for one day only. A schedule is available online.. And while this is almost over now [the sale runs through April 7], there are still a few days left to get in on the fun! I have only bought 2 products: the Becca First Light Priming Filter [which I already knew that I loved] and Too Faced Melted Matte Liquified Long Wear Lipstick in the shade 'wine, not?'. I haven't tried this matte lipstick, but have heard really good things, so I'm excited! Sooooooooo.....what are my goals for April? Thank God that a cheerful life is always in our grasp! This post contains a couple affiliate links. Thank you for supporting my blog!